Robin Schwartz is President of Television of Brillstein Entertainment Partners, a Los Angeles production and artist management company. She oversees the development and production of television series, including the upcoming ABC comedy “Manhattan Love Story.” Other Brillstein productions include ABC’s highly acclaimed drama “Resurrection,” a co-production with Brad Pitt’s Plan B Entertainment. 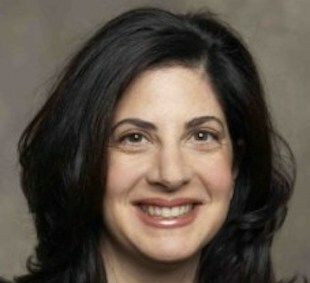 A unique executive in the television industry, Robin Schwartz’s career has encompassed roles on all sides of the business: as a network Vice President, the head of a studio, and a writer. Her work spans the worlds of broadcast and cable programming, and her leadership and talent for collaboration, as well as the dedication and creative energy she has brought to each post, are well-known throughout the industry. Previously, Ms. Schwartz oversaw the staff and operations of OWN: The Oprah Winfrey Network as its founding President. In that role, Ms. Schwartz was responsible for creating the structure for the start-up cable network and assembling an executive team to run the day to day operations. Ms. Schwartz came to OWN from Regency Television studio. During her tenure as President of Regency Television, Regency was known as a distinctive voice in the industry which produced innovative and unique programming such as “Malcolm in the Middle” (Fox), “Bernie Mac” (Fox), and “Wonderfalls” (Fox). Before running Regency Television, Ms. Schwartz served as Vice President of Programming at ABC Family, where she played a key role in the highly successful rebranding of the cable channel. While there, she developed a hit movie franchise of romantic comedies featuring such creative talent as Bradley Cooper, Patrick Dempsey, and Lisa Kudrow. Robin served on the advisory board of digital media companies Xtranormal & Tellagami. In addition, she has been actively advocating on behalf of numerous charitable organizations, including sitting on the board of Girls Inc., a national non-profit organization which brings vital educational programs to millions of American girls. She currently serves on the board of directors of the Hollywood Radio and Television Society. Ms. Schwartz resides in Los Angeles with her husband, son and daughter.